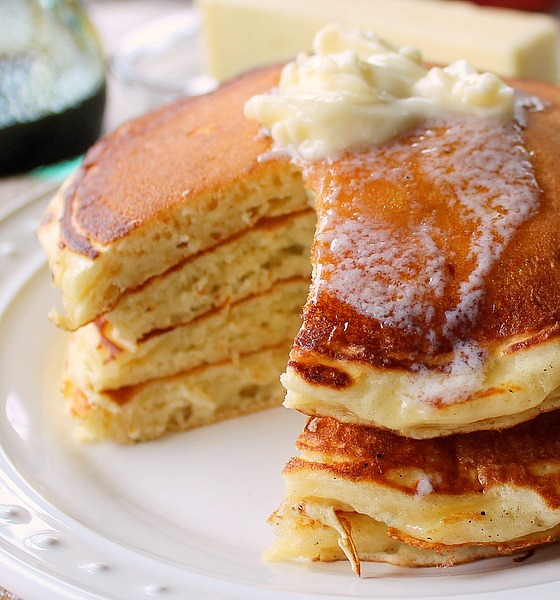 Having breakfast for dinner is one of our favorite meals on the weekends. I get a break from having to figure out what main coarse and side dishes I’m going to cook and just wing it. Spinach Egg Bake let me get creative in the kitchen and use what I had in the fridge as far as veggies and cheeses are concerned. Which was a good thing considering all the snow that came down this weekend. I hope everyone made it through the weekend safely and didn’t have to venture out! 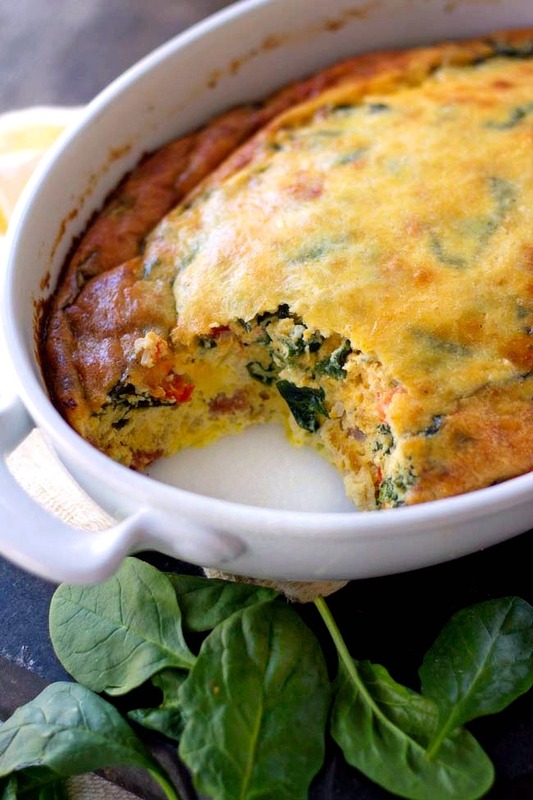 Packed full of protein and veggies, this is one hearty breakfast, brunch or dinner! Paul said it was…The best egg “thing” he ever ate. He consumed half the casserole with salsa on the side. And he’ll eat the other half for breakfast in the morning. 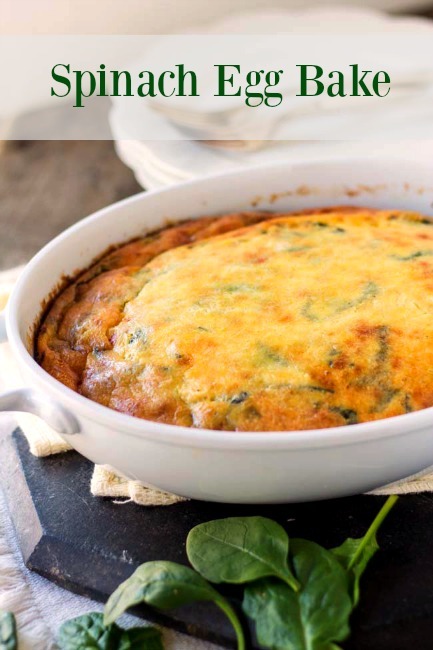 The ingredients in this delicious egg bake can be switched out to what you have in your refrigerator as far as breakfast meats, vegetables and cheeses go. Versatility, don’t we just love it! Homemade goodness from our house to yours, ENJOY! Melt the butter in a large saute pan. Add the onion and red bell pepper, saute until onions are soft and translucent. Add the 2 cups baby spinach, stir until wilted, remove from heat. Add the crumbled bacon and diced cooked ham to the spinach , stir to combine. Set aside. Beat the eggs, sour cream, salt and garlic powder until smooth. Stir in the spinach mixture and grated cheddar cheese. 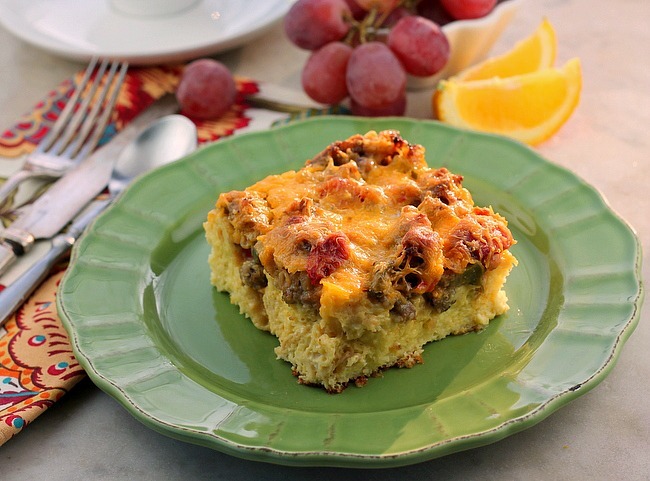 Pour the mixture into a buttered casserole dish, sprinkle the top with grated Parmesan cheese. Bake uncovered at 350 degrees for about 40 minutes or until center of casserole is set and toothpick inserted into the center comes out clean. If you liked this recipe, you may enjoy these as well. 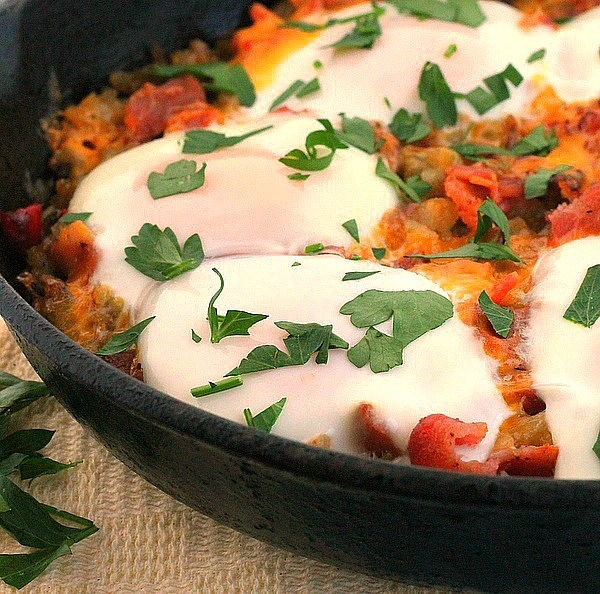 Ohmygosh – I totally agree about breakfast for dinner – one of our favorite things each week! Thanks for sharing at the Delicious Dishes Linky Party!